Blue Capture works closely with companies who are dedicated to moving America forward by producing information technology, health care, and program management solutions that enhance the effectiveness of U.S. government services and agencies. Blue Capture has assisted in contract wins for dozens of small businesses who produce work for defense, health, and education. Like Blue Capture, many of our clients are companies with special designations such as minority-owned, woman-owned, and veteran-owned. 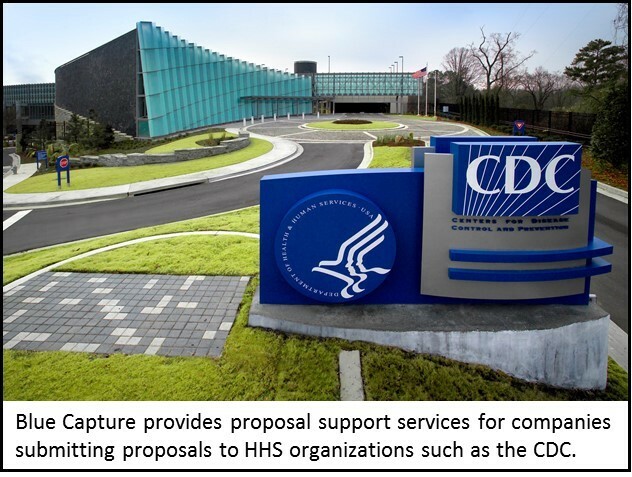 We regularly work on proposals responding to specific IT needs of the U.S. Department of Homeland Security (DHS), Department of Justice (DOJ), State Department, Department of Education, Department of Labor, and Department of Health and Human Services (HHS) organizations such as the Centers for Disease Control and Prevention (CDC). Read more about what people are saying about Blue Capture.